Substance use disorder can have negative consequences beyond the person affected. Do you know a child or youth between the ages of 8 and 18 years who has experienced trauma or been victimized as a result of opioid use and other drug use. If that young person needs help and isn’t currently receiving it elsewhere, Project Strong Life might be a good fit. SACADA is excited to bring this new program to the San Antonio Community. Project Strong Life provides free, trauma-informed care for children and youth who have experienced trauma because of someone else’s substance use. 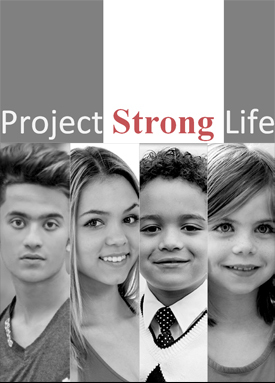 Project Strong Life uses an evidence-based, short-term therapeutic model to meet the complex needs of young people who have experienced trauma and helps to improve life skills, build resilience, and increase understanding of substance use disorders. If you would like to refer a child or youth to Project Strong Life please email us at StrongLife@sacada.org.